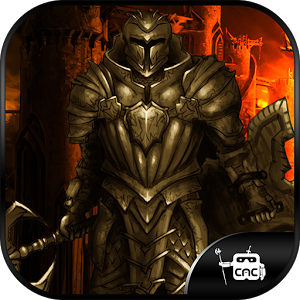 Take a dive into the captivating world of COC, and command massive armies of Creatures lead by Heroes across the legendary battlefields of Sabaton. Visualized by uniquely designed cards that the players must collect to create unbeatable decks, and reign supreme in all the Three Nations! Test your skills as you win battles, collect new cards and customize your deckfor each opponent. The game features a complete level-up system and mixes up the game play by introducing card fusion, allowing players to fuse cards together to dominate their opponents when the opportunity presents itself. Land cards represents battlefields or special locations that grant bonuses to the lanes they are placed on the battle. There are a total of 40 unique Land cards to be collected. Lane cards are where the strategy comes alive - a single Land card has the potential to turn a battle on its head with a little bit of clever maneuvering. Multiple types of Land cards and a wide array of magical abilities make sure the playing experience is unique every time. Creature cards make up the majority of a player's deck. Each creature has unique strengths and abilities, as well as a rich back story. There are a total of 80 unique Creature cards to be collected. Hero Cards are the 7 legendary Heroes of Sabaton, each personified in a unique card with special magical abilities. Hero cards remain in play throughout the battle, and offer their own unique powers that can be used once during the game play. 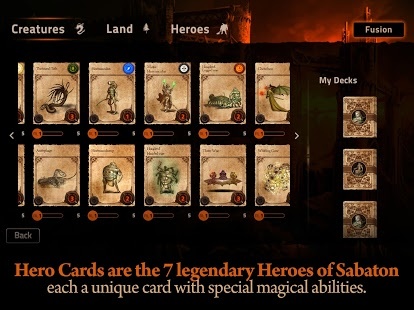 Players can choose only a single Hero card to lead their deck, depending on their own playing style and strategy. Arena Mode: Pitted against increasingly challenging AI, players are allowed to experiment offline and safely learn all the elements of the game play. 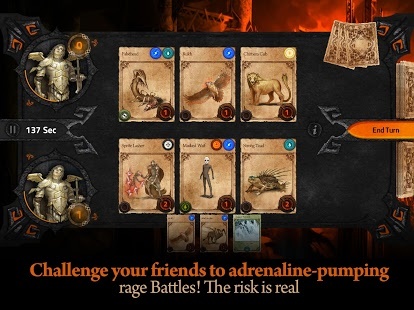 Players collect new cards and unlock Heroes playing through the Arena mode, to make their best deck and take their strategy online against real opponents. PVP Mode: Players engage in battles against real online opponents, in friendly matches to test their skills and fine-tune their strategy. Challenge your friends to friendly sparring, or take on the world and prove your mettle! Rage Mode: Rage Mode is where things get interesting, essentially pitting the players against each other in a winner-take-all match with real consequences. The winner of the battle collects all of their opponents captured cards, in a high stakes-high reward game with each player racing to capture the most cards. Strategy becomes crucial, or you may end up saying goodbye to your painstakingly crafted perfect deck.. 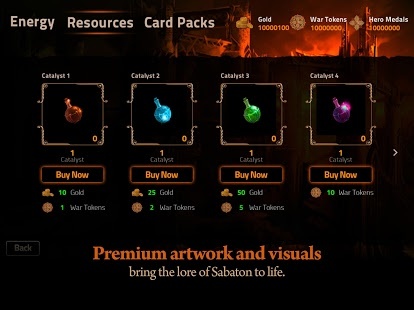 Put together, Compendium of Cards offers a unique immersion into the Lore of Sabaton, with something for every type of player, and a complex strategy mechanism to keep players hooked and wanting more. Compendium of Cards is a proud creation of Crucial App Concepts Inc.